Hi, I am here with yet another wonderful Clash of Clans Private Server, ToxicLand Apk COC 2019. Grab your devices and trust me you won’t like to miss this one here. I have been playing their Clash Royale Private server for some time, yet never knew that they have this wonderful dedicated server for the COC game too. Just like all those main servers we have discussed earlier, The ToxicLand also comes with a variety of servers. All of them have unlimited Dark Elixir, Coins, Gems and Elixir for the game. Among the 4 that the developers offer here. The Server 1 and 2 come with Custom troops and buildings for the game. While the Server 3 and 4 are more like original game with infinite resources. So if you are looking for Clash of Clans Mod apk, then you can try the later two servers. There are many features loaded Toxicland private server features. But the best one I like here are the Builder town towers which we can build anywhere without upgrading the town hall. These towers include the Clock Tower and the Gem Mine. Beside this all towers are unlocked in the game from the start. So you can build any tower no matter what level of Town Hall you have. Look in the pictures below. I am having all custom towers on my level 1 TH. This server includes mods and commands without any buying limit. This server includes mods and commands with a buying limit. This server doesn’t include mods and buying limits. This server Include commands but without any mods available. The best and easiest way to download all the Toxic Land Clash of Clans Private Servers Apk’s is this Launcher app provided by the source. unfortunately the developer at ToxicLand have removed the later 3 servers links. But whenever I got those tested on my device. I’ll make sure to update those links. Currently the Active ToxicLand Server 1 download links is available here. *Private Server Apk installation here. Since I have almost tried and tested tons of private servers of Clash of Clans. I wouldn’t hesitate to recommend this ToxicLand APK COC Server too. This one is still quite stable and allows a flexible gameplay which will make you love it. Beside this you can also checkout their Clash Royale private server. It’s even more fun. Clash of Dreams Apk is on our list of best Clash of Clans Private Servers for Android and iOS. With it’s own official home page, ClashofDreams.xyz, The server provides a stable and unique gameplay for the latest COC v6.0 with the Halloween Update. The best thing is that beside the Android powered custom server. The developers also maintaining a specific server for the iOS users. So you can now download the Clash of Dreams on your iPhone too for 2019. Clash of dreams comes with it’s own Custom game logo, showing an Angry Valkyrie troop. It has it’s own modified custom start screen. A bit of old school custom Halloween music at the start of the game. Moreover there are dozens of custom buildings and troops added in the game. In addition to 2 million Coins, Elixir and about one Hundred thousand Green Gems for the game. The team behind Clash of Dreams didn’t focused much on the stability of the server. They were more keen in bringing the Modded version of the game, just like the COC mod apk. So that’s why we have unlimited resources with some custom buildings and units. Here are some of the main features of this server. 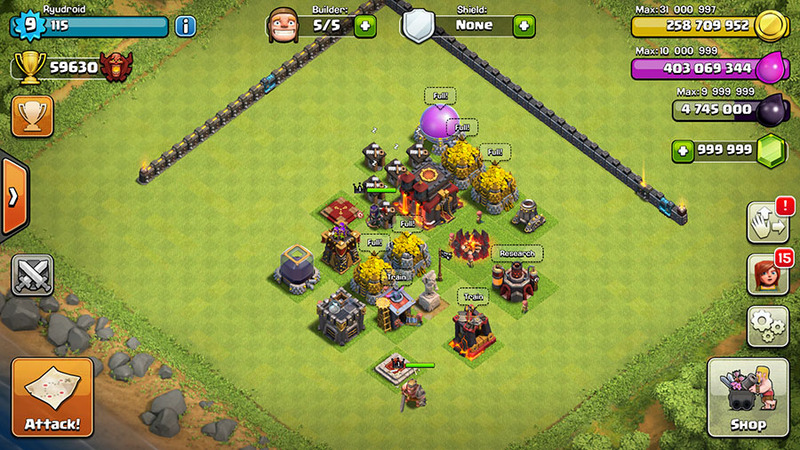 Custom Buildings Enabled Starting from TH 6. There are many custom building this TH12 update with Halloween version. The Android version of the game is updated and Clash of Dreams V6.0 claims to have the Town Hall 12 and the Halloween Update. No root needed for this apk. You can download and install it on any device running Android 4.0.4 KitKat or Above. The iOS version of the Clash of Dreams can also be installed on any iPhone, iPad or iPod Touch. No need of any Jailbreak. All you need is the Cydia Impactor tool to inject this *.ipa file into your device. Links will be updated soon. Error! Client and Server are out of Sync! This shows that not a powerful server is on the back of this COD game. So I recommend to go for better servers. Anyways we have many other stable and working private servers for you. Check our Homepage here. The unlimited resource, New Buildings and characters and Custom Commands. These are the main features of this newly developed Clash of Builders Apk private Server for Clash of Clans 2019. The new troop called the Warrior Builder and some holy free New Heroes that roam around the hole map are the landmarks of this COC server. The updated version of the server made sure to give it’s users maximum freedom. Either it’s the free nature Heroes, Custom built troops, spells mainly brought form the Clash Royale game or even the Custom commands which have totally different effects as compared to the other main private servers of the game. 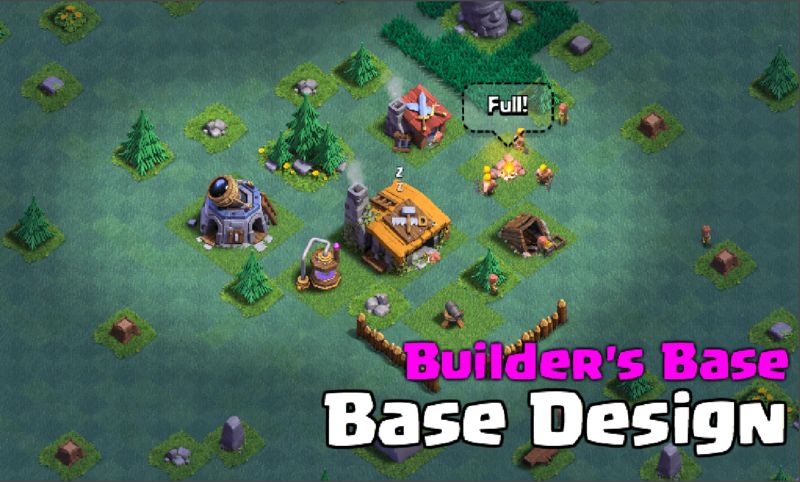 Clash of Builders Apk 2019 has many changes as compared to the previous older versions. The new servers are more stable and faster in response. This resulted in lesser game crashes and builders base game save works fine now. Here are some of the main features of the game. New latest Worrior Builder troops has been added. Many new Heroes added that do patrol the whole Builders Base Map. New protection Buildings and Troop buildings added. New Custom Heroes comes with new features. Custom commands to ensure faster and stable game-play. Weekly updates for the new buildings, troops and spells added. These are the commands you can use in Cash of Builders global chat to show these effects. Waiting for the updated link. meanwhile you can head back to Homepage and get any other server installed instead of this dead COB. Unfortunately, This Clash of Clans server has also died. But I am waiting for the update there are chances that this server to get a whole new dedicated feature soon. 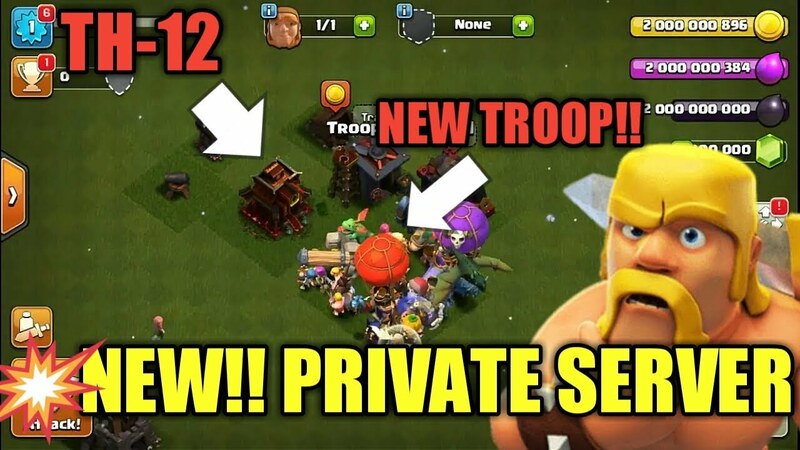 Null’s Clash Apk TH12 | COC Private Server by Null 2019. Today we are bringing yet another amazing Clash of Clans Private Server. The Null’s Clash, A Russian based server for the COC, can be regarded as among the best COC private Servers 2019. The developers have also established their private server for the Clash Royale game as well. As contrary to other big names, the developers here focused more on quality and close to real gameplay. So the only version of Null’s Private Server here don’t gave users the ability to add custom buildings or troops to their arsenal. But the abundance of resources including Unlimited Coins, Gems, Elixir and Dark Elixir may take you to the top TH12 (Town Hall) in no time. So you can get Eagle Artillery tower or the Inferno Tower in no time. Just like other private servers of Clash of Clans. This Clash of Null also comes up with unique features. Their all time live and updated website “dNull.xyz”, is always there to help it’s players with the latest and updated versions added. This sever is more like a Modified Clash of Clans Mod Apk. Because the developers here choose to make it simple and easy. They more focused on providing free resources in the game. The PVP mode enabled in this Null’s Clash lets users to create their own clans or even join any top order clan even at the start of the game. The Null’s Clash Private Server are amazing. The main features as the backbone of the COS servers. CompatibilityOur servers are compatible with iOS & Android. You can use the “Utility Tool” to one click download or update server. AddonsWe’ve built many distinct custom heroes & buildings combinations for you to showcase the features of your base. Following are the Null’s command with their rolls you can use these commands according to need. Downloading the Null’s clash Apk is simple and easy. The file is given in direct download link. You can simply click and download it. If you are new and never downloaded and installed a custom APK file on your Android device, Then you can read the guide here. Custom Apk App installation Guide 2019. This game ain’t that modified as most of you would like it to be, But having extra resources at the start of the makes sure that you get some quick upgrades in your game. This Null’s Clash is for those COC fans who want to make it simpler and easier. Download recommended. If you are still not satisfied with this one, Head back to our Home we have a dozen more options for you.